New Introductory Lectures on the System of Transcendental Qabala is the debut album of Hunter Hunt-Hendrix’s side project, Kel Valhaal, and like some kind of industrial noise Lovecraft, he has created his own mythology to accompany this moniker. The origins of Kel Valhaal begins like this: 01010n, an all powerful force of energy, went to give some of her energy to S/he/im, a figure that is somewhat representative of humans at their highest form, but they were destroyed almost immediately because they could not handle all of that power. 01010n leaves the universe after this, and left behind is a flicker of energy called “The Genesis Caul.” This energy is guarded by Reign Array and Kel Vahaal, two shaman-like characters, who are meant to take the energy a produce “structures” that are to represent 01010n’s energy and light. 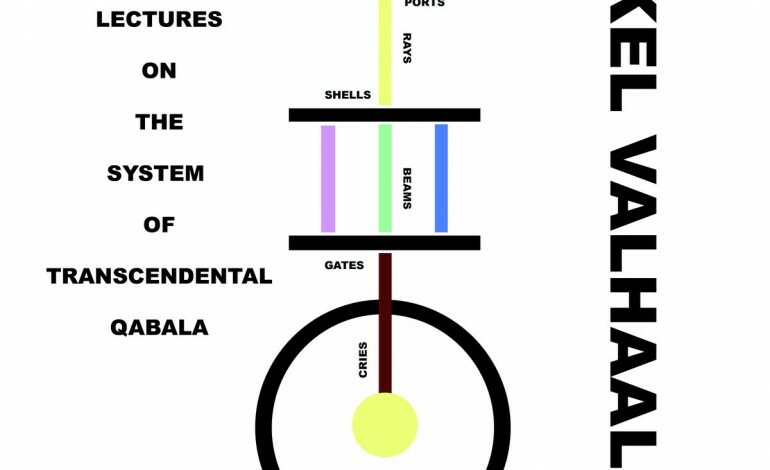 New Introductory Lectures of the System of Transcendental Qabala is the first of these structures to introduce humans to 01010n’s power. What comes out of this “structure,” though, is hard to make much sense of. The album starts with “Mea Culpa,” a short segment of static clips and a great way to set the tone. “Tense Stage” follows as the first full-length song. The first half of the song layers on dub bass line and glitch melodies, all becoming more and more intense until about half way through when barely understandable lyrics are added. The build up to this intensity is great, but there’s never any release. The song holds onto this intense apex for about four minutes and just turns into white noise, a pattern most of these songs follow. “NMWE” and “Bezel,” though, are able to find a middle ground between spiritual and electronica sound, which seems like the point of the album. Unfortunately, these two get sandwiched next to “Ontological Love” and “Bezel II,” which are the two least interesting songs on the album. “Ontological Love” becomes ten minutes of distracting white noise that is only broken up by rap lyrics that cannot be understood except for the repetition of the song’s title and the meeting of the spiritual and electronic in “Bezel II” ends up sounding somewhat like an electronic monk dying. For most of the album, New Introductory Lectures on the System of Transcendental Qabala comes off as a purposeless exploding ball of energy and sound.